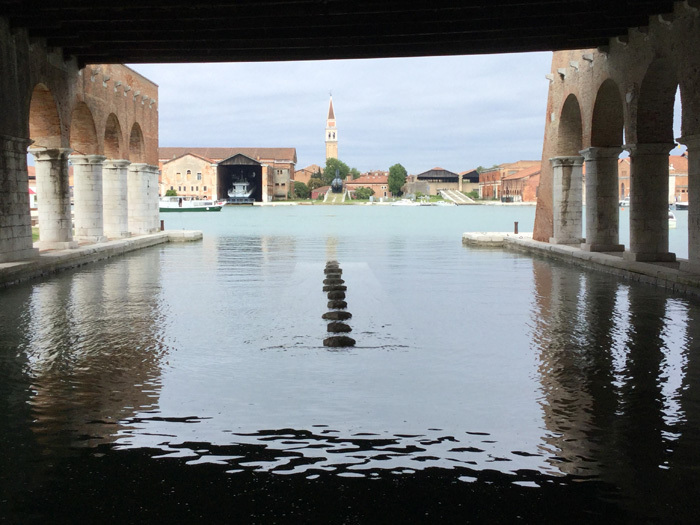 We are pleased to announce that Kishio Suga is participating in the 57th Venice Biennale “VIVA ARTE VIVA”. He presents “Law of Situation”, one of his most important early works created in 1971. 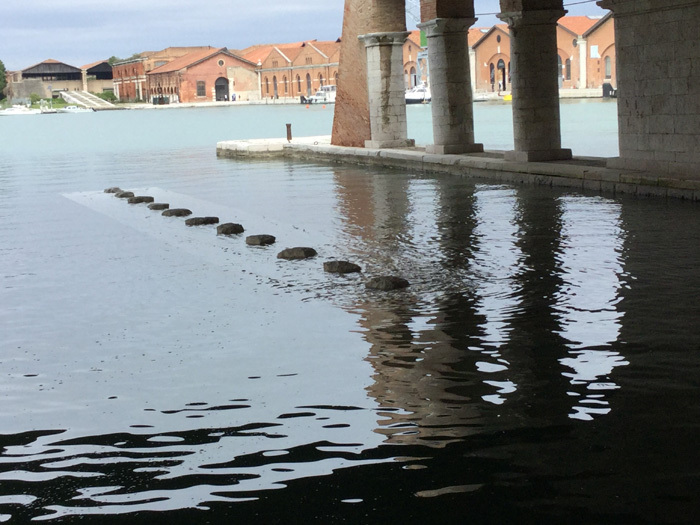 This work consists of a 20 meter length sheet of woven glass fiber floating on water with stones set upon it. 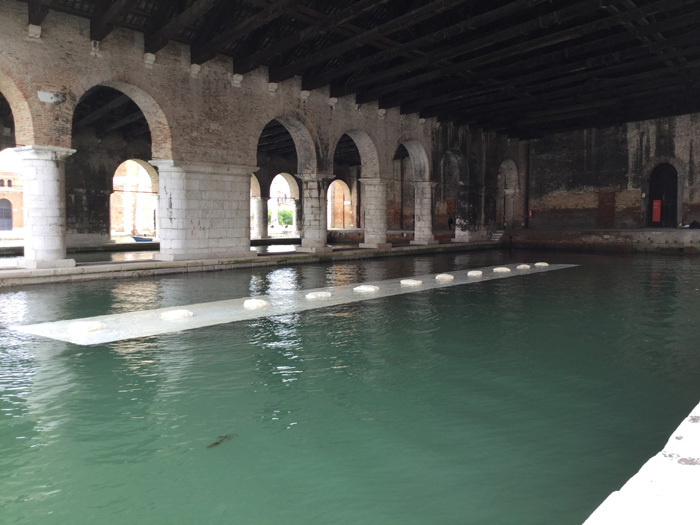 He re-creates this work in a new form and presents in the Gaggiandre shipyard behind the Arsenale, one of the major venues of the Venice Biennale.